There are plenty of good reasons why you might want to change your email account. You want or need to change email providers, you hate your current email address or you’ve become inundated with spam. However, switching email accounts can feel like a daunting task. Not only do you need to notify everybody of your new email address (including all of those sites where you’ve created accounts over the years), but there’s also the fear that you’ll miss an important email from a person or organization that you can’t afford to miss. Fortunately, it’s fairly easy to make the change and not lose any emails in the process. Here’s how to do it. When switching accounts, you’ll want to hold onto your account for a little while to ensure the process has worked smoothly. If you’re switching jobs or leaving school, find out how long you’ll have access to your old email address before it’s deactivated and plan accordingly. Most organizations won’t let you access your account, but some may forward email for a length of time to your new account. Create an email address with a free provider like Gmail or Outlook.com. Do not use the email assigned by your internet service provider, company or school. When choosing your new email address, use your name or something that will age well over time. If you have a common name, try using your last name first or a combination of your initials and your last or first name. 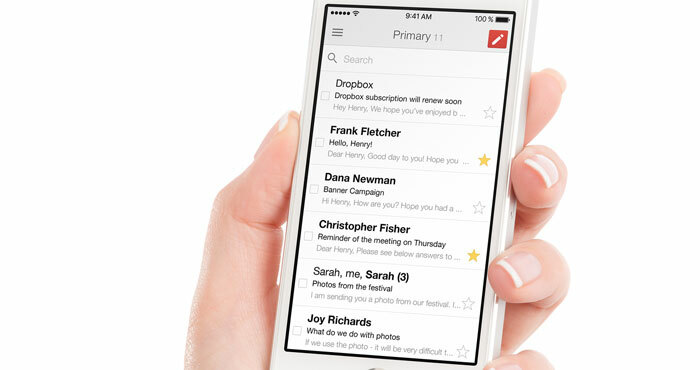 You can forward your messages while retaining a copy with your old mail service. Or, you can forward your messages and delete the copies on your old mail service. Go to Outlook.com and select the settings cog in the upper right corner. Select Connected Accounts and then select Add a connected account. You’ll fill out your name, email address and password and choose where your imported email will be stored: Create a new folder for imported email or Import into existing folders (like Sent Items, Drafts, Inbox etc.). Depending on your old email provider, you may have to enter your email settings manually. Go to Gmail and select the cog icon in the upper right corner. Select Accounts and Import then Add a mail account. Enter your email address and select either "Link accounts with Gmailify" (which will leave a copy of the emails on your old account) or "Import emails from my other account" (which will not leave a copy on your old account). For most email services, all of the fields will be pre-populated, if not, you can get the information from your email service provider. Then select Add Account. Once you have connected your account, go back to Settings > Accounts and Import> and choose to "Always reply from the default address," which should be your new Gmail address. Chances are that you have an address book associated with your old email account and you’ll want to import them for use with your new account. If you’re switching to an Outlook.com account, you’ll need to select the People icon, choose Manage and then Import Contacts. You’ll see a list of services come up, which includes Gmail, Outlook (2010, 2013, or 2016), Yahoo Mail and Windows Live Mail. If your current provider isn’t listed, you should be able to export to a .cvs file. Search for "export contacts from (name of your old email provider)" for instructions. Once you have the file, choose Gmail (it exports to a .cvs file) and import your contacts. If you’re switching from a Yahoo, Outlook, Hotmail, AOL or most internet service providers, go to Google Contacts, select More and then Import. Select the type of account you want to import from and click on "I Agree, Let’s Go!" Sign into your old email account and select "Agree." 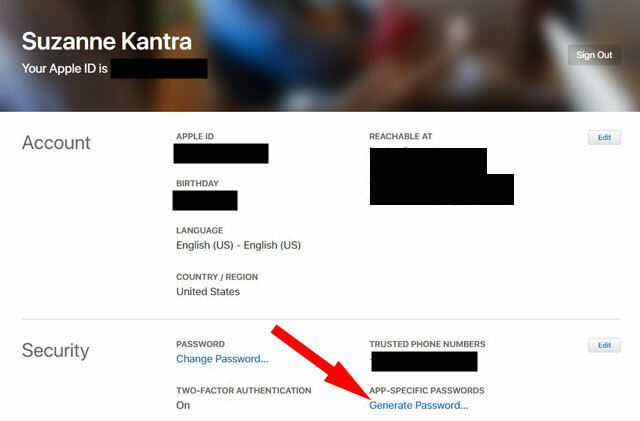 If you’re switching from an Apple or iCloud account to a Gmail account, you’ll need to first generate an app password. To do that, go to Appleid.apple.com and log in with your Apple ID. Scroll down to "Security" and select "Generate Password" under "App-Specific Password." Label the password (something like Gmail Contacts) and copy the password. Then go to Google Contacts, select "More" and then "Import." Select the account you want to import from, click "I Agree, Let’s Go!". Sign into your account using the app-specific password you just created (not your usual password) and click on "Agree". Once you have your new email up and running, it’s time to email everyone telling them about your new email address. Be sure to use the Bcc option (blind copy) in the address bar, so you don’t accidentally share other people’s email addresses with the whole group. You may also want to add a signature that calls out the fact that your email has changed. For Outlook.com go to Settings > Options > Mail > Layout > Email signature. For Gmail for to Settings > General and scroll all the way down to Signature. I was so happy to see your topic, Suzanne. However it is completely useless! I have traded all over the world, and is a “member” in hundreds of websites. None of them will ever know, if I change my email-adress. Unless I tell them I did. Therefore: Your ideas/advise is totally useless. Therefore Terkel, you’ll need to follow the part of the advice which relates to auto-forwarding, or mail fetching. You can let all those “member” mailings land in your old account and view them in the new, until you find the opportunity to update your profile info on each site. Of course, getting mail from hundreds of sites is something you should review and cull periodically. Did ya have to be such a jerk? These are good tips. Thanks Suzanne! Sorry that wasn’t clearer in our newsletter. If you don’t agree to Yahoo’s terms (or any other provider’ s terms) your only option is not to use the service. In which case, you can switch to another email provider with more consumer-friendly terms using the steps above. If people we know behaved like advertising companies, we would sue them for stalking. How long as a society can we allow this to continue? I really feel like going back to pen and paper sometimes. I’ve imported my contacts and messages from Yahoo to Gmail which seemed easy enough. Now, if close my Yahoo account will the messages automatically go to Gmail? Or, does Gmail need the Yahoo account to pull from? If you want to continue to forward (or pull) messages from your Yahoo account, you will need to keep it open. Eventually, everyone will have your new Gmail info and you Yahoo account will be less useful, but since there’s no cost to keeping it, you might as well keep it open until you get nothing there except spam. The reply wording makes it sound as if I am forwarding my email from Yahoo to Gmail, which is not the case. I used my new Gmail account to “pull” or import to Gmail from Yahoo. So my question is a little different: Do I have to have Yahoo receive my emails before Gmail can retrieve them? Yes, I plan to notify my contacts. Sorry I wasn’t clear. If by “pull” you mean access your Yahoo email through Gmail via Pop or IMAP, then, yes, you still need to keep your Yahoo account to do this. If that’s not what you mean, you’ll need to give me more info on what you’re trying to do. Once you cancel your Yahoo account, any emails sent to your old Yahoo email address will simply be dumped by Yahoo and the sender will likely get a “user not found” message. Gmail will not be able to access these emails. I just realized that my “recovery or alternate” emails are “linked” to my Yahoo account. Let me clarify… I knew they were there in the background, but I didn’t know they were a “click” away. Just now, I discovered I can click into either of my two alternate gmail email accounts or my yahoo within my yahoo email account. No sign in necessary. I always sign out of every account, and keep them separate on purpose. I am getting flashbacks on some past experiences when I thought I lost an email, or sent an email and then not be able to find it. It’s pretty clear to me that I was accidentally in one of the other accounts. Ugh. When and how did this setting happen? And how can I isolate each account from the other? The big three - Yahoo, Gmail, and Hotmail (otherwise known as msn.com, live.com, or outlook.com) all have various ways of sending or receiving mail as or on behalf of other email services. You’d have to take a look at your Settings page to see exactly what is configured, then seek help to undo or alter your set up. Because of the problems AT&T is currently having, one of my email accounts with them has totally disappeared. None of their “chat” or phone people have been able to help me (after 4 hours with them this week). My question is this: if I set up a gmail account, will those emails in the lost account be gone forever, or are they out there somewhere and retrievable through gmail? More information: I had a main account and a sub-account with AT&T. When I sign in with the main account username/password, I am getting the sub-account emails! &$(^$_)_( I’ve given up on AT&T. It depends why those emails are “lost”, but the answer is that they are probably gone for good. Setting up a Gmail account to pull from your AT&T account will bring in new emails, but not older ones that are missing. I assume you’ve tried looking in your Archive and Trash folders for those old emails? Your “AT&T” email is now Yahoo email, correct? I was forced to create a new account. It was the only choice I had to look for my email account with ATT/Yahoo Now I have lost my entire information. I had arcived important information to me . now it is lost forever?? Give me a break. How is this a good way to treat your customers. Please show me how to access my personal and important email account. Is there anyway to retrieve emails from a closed account? My husbands business email account closed and i didnt have time to transfer to my new gmail account!! It depends on where the email was being hosted and whether you can reactivate those accounts. Do you or your husband control the server where your email was hosted or the third-party service that hosted it on your behalf (e.g., G Suite)? If so, you may be able to reactivate and the old emails may not have been purged, yet. If you don’t control it, then you would have to work through the company/party that does to see if they can help you. I gmailify’d my yahoo account and all the emails went to Gmail but I need to have a copy remaining in yahoo. Is there any way I can send the yahoo mails back to yahoo now that they are all in gmail? There’s no way to send your emails back to Yahoo without, literally, sending each email back to your Yahoo address. But I’m not clear on why you would want to do that. What exactly is it that you’re trying to accomplish? Perhaps there is a better option. You’d need to add both accounts to an email client program such as Microsoft Outlook or Mozilla Thunderbird via the IMAP protocol, then drag a copy of the messages back across from the Gmail folders into the Yahoo folders. When it synchronizes, you should be able to see your messages again when you log in to your Yahoo account. I use WLM for all emails on my laptop, but when changing my mobile phone I ended up with a Gmail account and another email address for gmail, without even realising this was what I had done. Now more than half my emails go into Gmail account and only a few on my original email account trickle into WLM. I want to delete the Gmail account (I don’t need emails to my phone - too small anyway to read or work with) and have all my emails once again delivered to WLM. I’ve searched the internet for days on end but there doesn’t seem to be a specific answer to my problem. (I do realise that WLM will not be available for much longer but want to use it for as long as possible.) Can you please help? WLM is not an email provider. You can sync an existing email account into WML, but your email account would still be something else (e.g., Hotmail, Yahoo, Gmail, etc.). 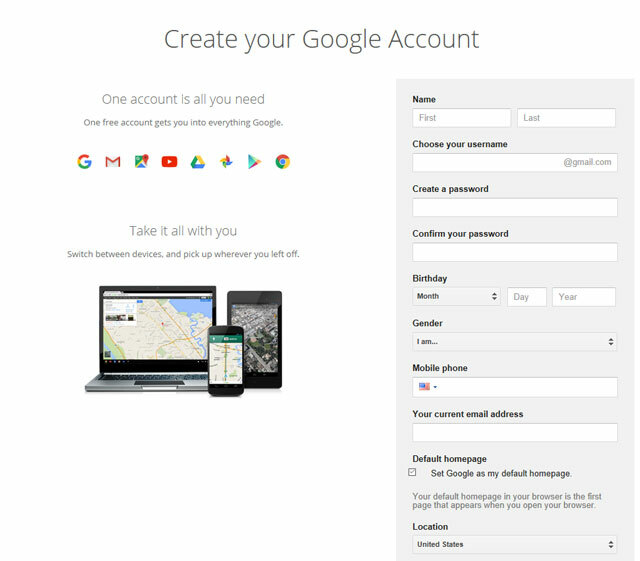 Setting up a Google account for your new Android phone shouldn’t cause emails from your email address to go to Gmail unless your email account was already a Gmail account or you specifically set up forwarding from your old email account to your new Gmail address. It’s possible that whoever set up your phone set it to sync emails from your old address into the Gmail app on your new phone, but that isn’t the same as those emails going into a Google account. So a few things. First, talk with whomever set up your phone to understand how your email addresses are syncing and/or forwarding. Second, if you find the font too small on your phone, there are simple settings in the Gmail app and in the phone settings to increase the font size to make it easily readable. Third, stop using WLM immediately. I’m not even sure how you’re still using it as it was discontinued years ago, and it may contain serious unpatched security risks. Move to Outlook, or Gmail or whichever service corresponds with email address you’re using. I’m in a panic at the thought of all my gmails being deleted by google+. I’ve been using gmail for 8 years and have no idea how to save all my stored emails (1.2 GB of data). Can I just sign up to another email provider, transfer the whole lot to the new account and go on using the same email address? Would new emails go to the new account automatically? I have no IT expertise at all and don’t really understand what all the jargon means. Thank you for any helpful advice. Google+ is a feature some people have with their Gmail accounts. The loss of that specific feature isn’t the end of your account. There’s nothing happening right now that represents a loss of Google’s email service. On their website, they list a lot of services that will be affected and gmail is isted there. They sent me an email with a link. It says I can “download and save my content” but I can’t see how I would move forward with this. Thank you for clarifying this (I’ve cancelled my nervous breakdown). Soooooo, how now brown cow? This sounds horrendous. Hope you can sort something out. Courage. Years ago we created an email address using the companies name. example: my name @company.com. I have since sold that company and created a new email address. Problem is that my account, under Settings, shows that is it “syncing” to the old company name. And it also shows that it is Managed under the same name. Can I remove or change either of those so it shows my current email without losing everything? After using gmail for a few years, someone has finally pointed out to me that my gmails are not encrypted. Or at least it appears they are not, based on the red warning symbol they see on the emails I send to them. I have a theory but can’t find a resource to help me. When I changed over to gmail from my old frontier email, I kept my frontier name in its entirety, including the frontier.com part of it. 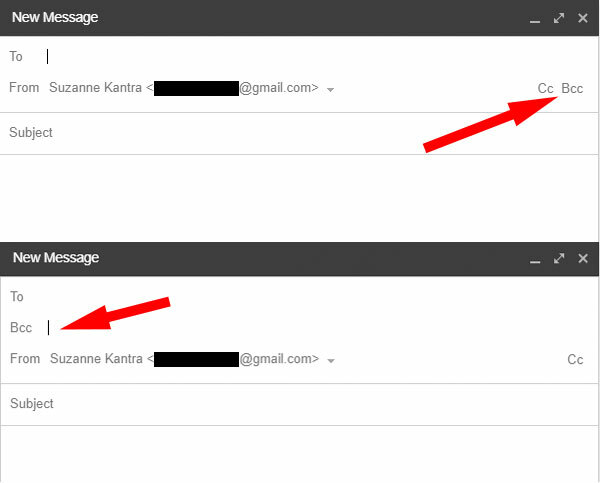 In addition to that, gmail uses an underlying, unseen gmail name for me that my friends do not see. My theory is that using the gmail system together with my old frontier name either disables gmail encryption or confuses gmail into incorrectly thinking I’m not using encryption. How can I fix this problem? If it really means my mail is not encrypted, I want to turn it on. If it only means that gmail is superficially confused, I want to make gmail recognize me properly so recipients don’t panic when they think my mail is not encrypted. Thank you. Gmail will automatically encrypt your outgoing emails, when possible. However, if the person you’re emailing is using an email service that doesn’t encrypt all messages using S/MIME or TLS, the emails might not be sent securely. What’s not clear to me is whether the issue is on your end or theirs. I suspect on yours, but it’s really not clear to me how you have your email set up to use your Frontier email inside Gmail, nor why you would want to set it up this way, rather than just using your Gmail address. We also don’t know what your friend is using as their email client. My advice would be set up your account as we recommend above: make your Gmail address your permanent address and simply pull emails from your Frontier account to your Gmail account for those that still land there. Also, I wouldn’t be overly concerned about the encryption piece. Yes, your emails should be encrypted in transit. But if they’re not, it’s not the end of the world. Unless you’re sending very sensitive documents or info, what exactly would someone be intercepting? What’s more important is authentication, so people know the email is really coming from you and your email is likely to land in a spam folder. If that isn’t happening, it is almost certainly related to your setup. For more information about Gmail encryption, how it works and when it doesn’t, see this article: https://support.google.com/mail/answer/6330403. And for more information about Gmail authentication, see: https://support.google.com/mail/answer/180707. The info is great! It helped me. Thanks again! I believe I have 90 days before virgin close my email account, how do I inform all of my email contacts, of which I have many, accumulated over many years. I’m not tech savy and don’t have a clue what to do! That process is noted in Section 5 of the article you just read above. I have the same issue. It keeps trying to sync with my old email account. I can’t get it to sync with my new one!!! What is trying to sync with your old email account and how are you setting it up to sync with your new one?